A considerable portion of students who arrive at Oxford require support for language. 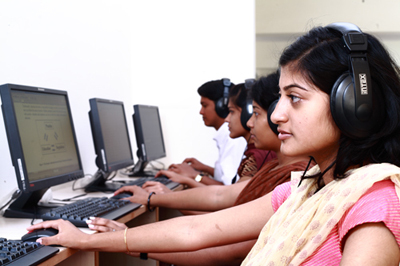 Students are trained through well equipped English language lab that is open to students of all faculties. The centre provides two level courses. Basic English training is through Wordsworth Software. English language teacher uses this software to evaluate the students’ language skills and self driven training classes are provided to improvise their language and Grammar Skills. At the next level are abroad aspirants requiring IELTS and TOEFL IBT training. The lab also has text, audio, computer based materials and internet links to language learning sites.